Traveling to England was my first real foreign travel, and my first real solo trip. During college, I went to Mexico and the Bahamas with friends, but since I did not get a stamp in my passport it never seemed foreign (enough). 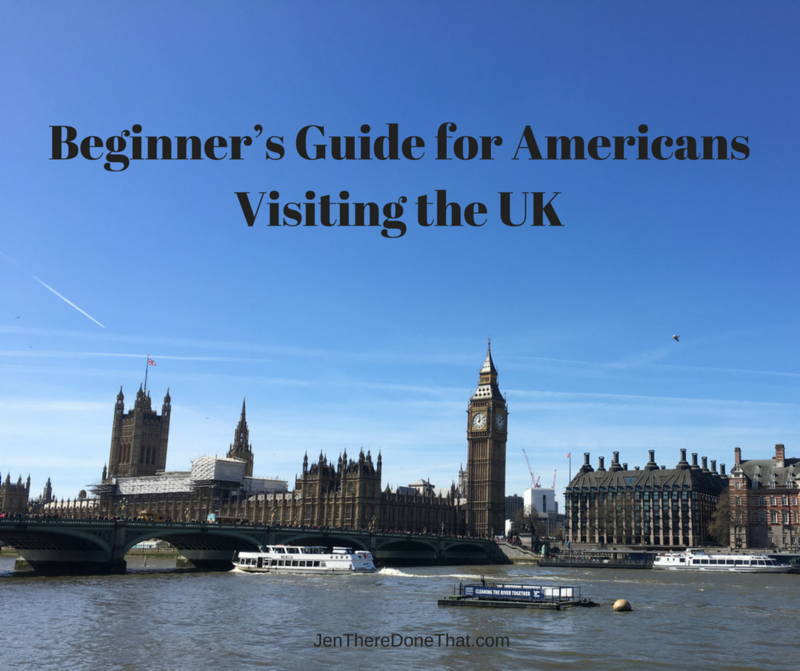 Traveling to the UK is a rite of passage for many Americans, usually following high school or college graduation. Like me, it is often the first stamp in our passport and we finally get to travel abroad by crossing the pond, aka Atlantic Ocean. 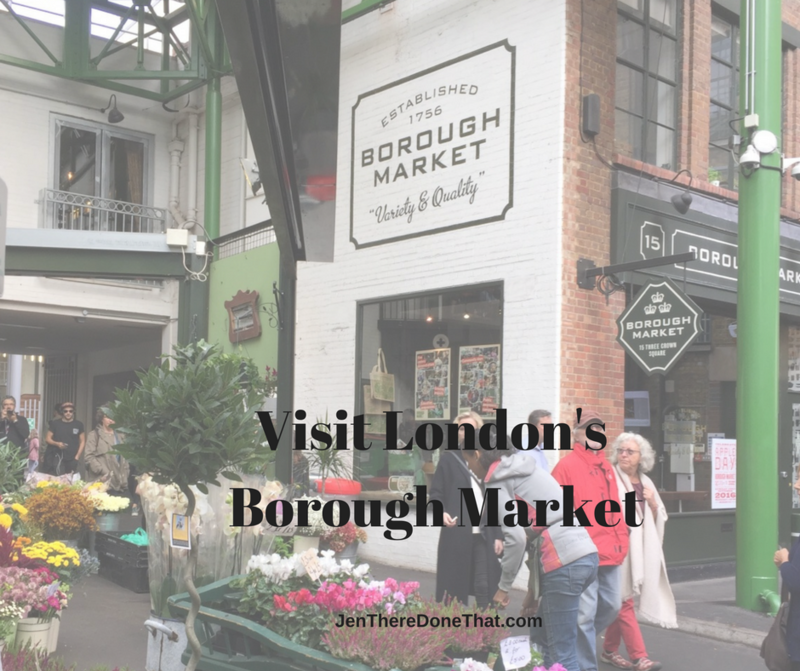 The UK is notoriously expensive, but it is a great destination to take off those travel training wheels and start to explore this big, beautiful world. Warning – I have made this crossing many times over the last 20 years and it is absolutely to blame for my wanderlust now. Champagne is my go-to beverage for celebrations, Sunday brunch, a quiet night in, and every other occasion that I can think of. In February 2002 I spent a week in Reims, France to explore part of the Champagne region. 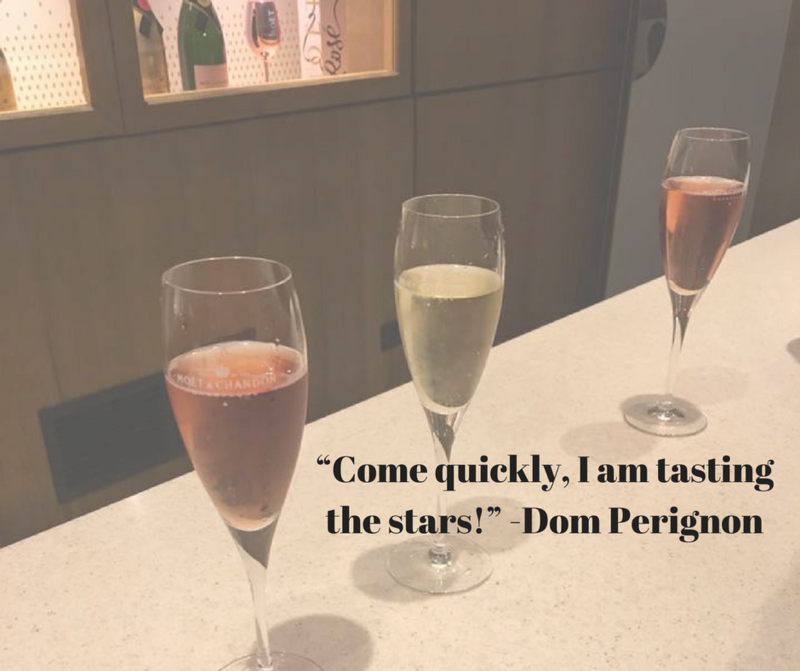 The main purpose of my visit was to enjoy as many varies of Champagne as I could! I called to reserve my cellar tours (before online reservations), booked my hotel (through a travel agent), and rode the TGV train from Paris Gare de l’East to Reims. My hotel was a short walk from the train station, and I stopped at a local café for dinner and pastry. Between Champagne tastings and cellar tours, I managed to visit the Palais du Tau and nearby cathedral of Notre-Dame de Reims. I walked to most places with the occasional taxi ride. Exploring the city as a solo female traveler was easy and safe. The down side of travelling solo all those years ago (before smart phone with built in cameras) is that I have a fuzzy memory and very few, poor quality photos. Admittedly, the photos were made even worse by the massive amounts of Champagne consumed during operation. My friend Lisa recently went to the Champagne region, and was kind enough to share her experience and photos. During a recent trip to Europe to visit family, my husband and I snuck away to France for just a couple of days. We thought about visiting Paris, but then I ruled against it… I wanted to go to the Champagne region instead. 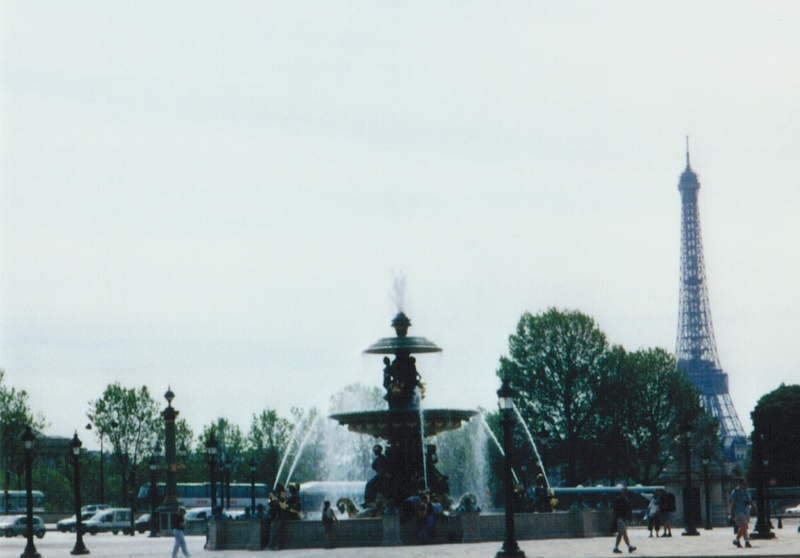 In light of the recent attacks, Paris is on my mind. Join me in the way-back machine of film photos and pre-EURO currency. 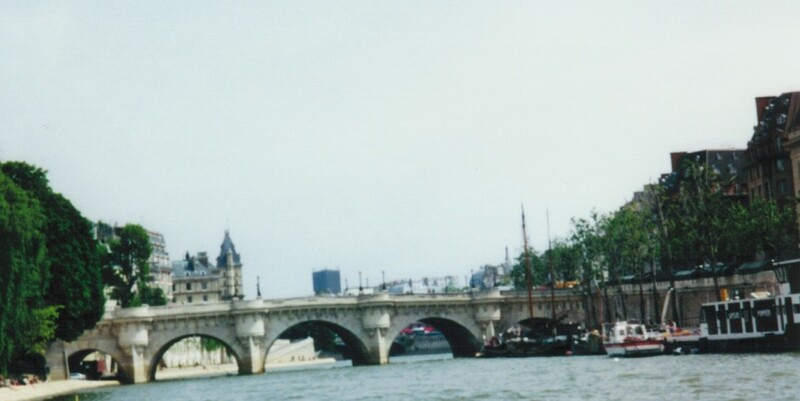 My first trip to Paris was in October 1998. Booking a hotel was completed by calling a travel agent. My pathetic high school French immediately gave me away as American, but everyone that I encountered was warm and friendly. My friend and I flew into Charles de Gaulle for a long weekend. Our hotel was near the airport which required a train trip each day into the city for sightseeing. The travel agent that I booked accommodations through simply had no clue where to stay and neither of us bothered to check a map. 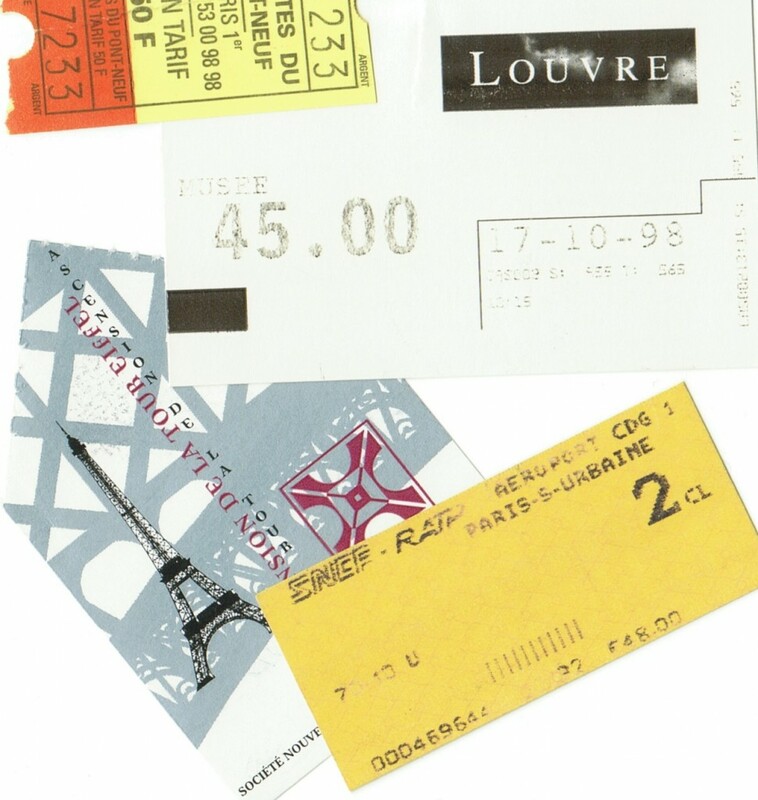 The currency was the French franc (pre-Euro), no one had mobile phones, and paper maps provided directions to each of our destinations. I spent a full day at the Louve and finished the day with an evening view from the top of the Eiffel Tower. 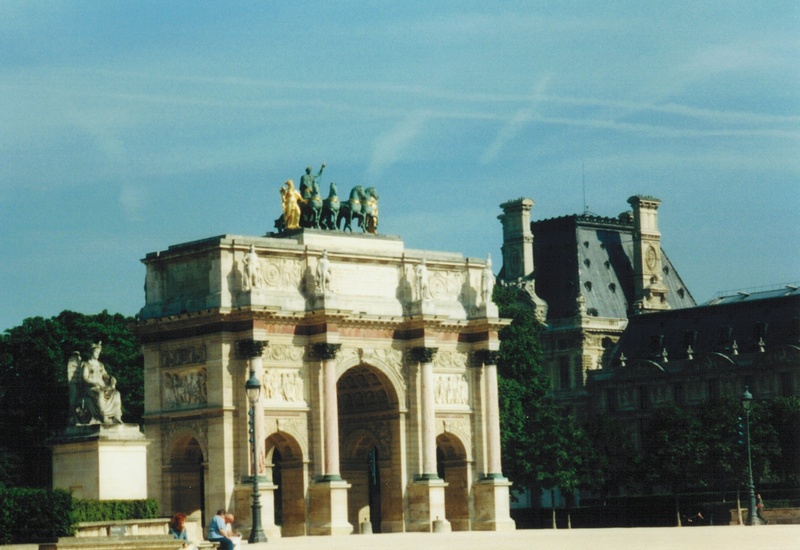 I was hooked on Paris and crammed as many other attractions into the next day as possible before leaving. 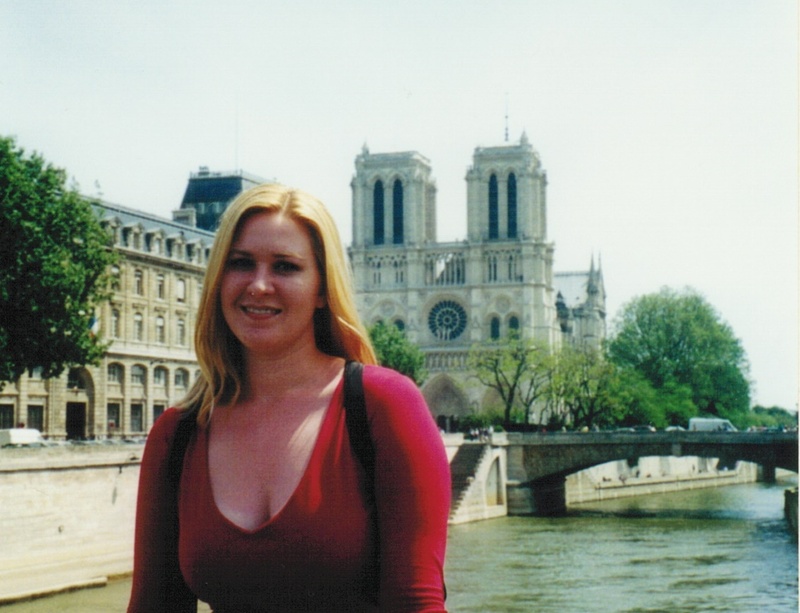 In the years since, I have gone back to Paris several more times, usually by myself (sans selfie stick resulting in few photos). 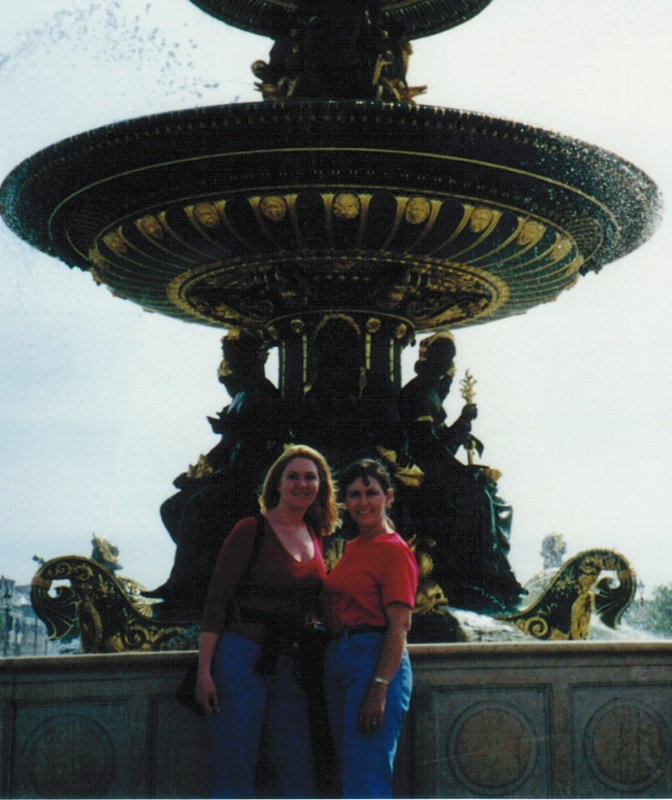 In May 2001, during our European vacation, my Mother and I spent a week in Paris. 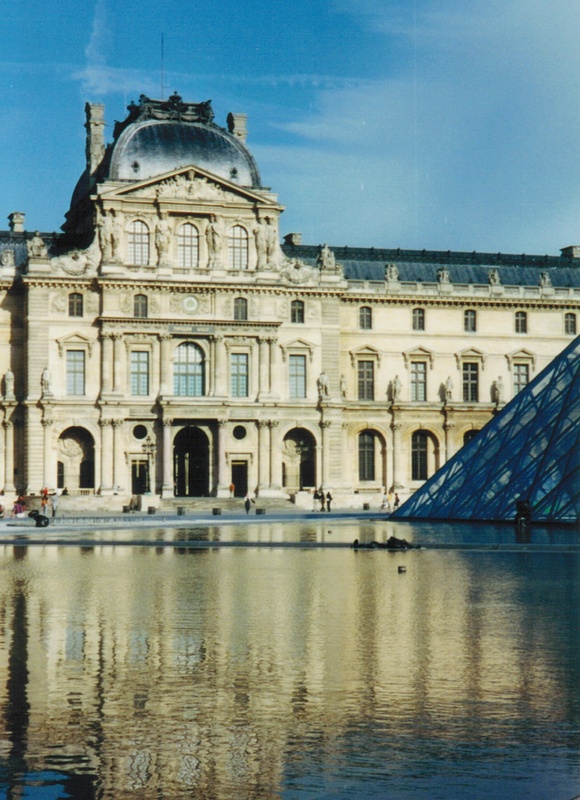 Along with the top tourist destinations, we toured the Paris Opera house (Palais Garnier) and explored the famous fountains and gardens (Jardin des Tuilleries) around the city. By this time, the currency was Euro, I knew to take the train in from London, and our hotel was in the city near the train station. We still relied on paper maps, and we selected restaurants by delicious smells as we walked by. I recall brighter skies than the film camera captured. No Photoshop, the flowers were bold and bright colors. 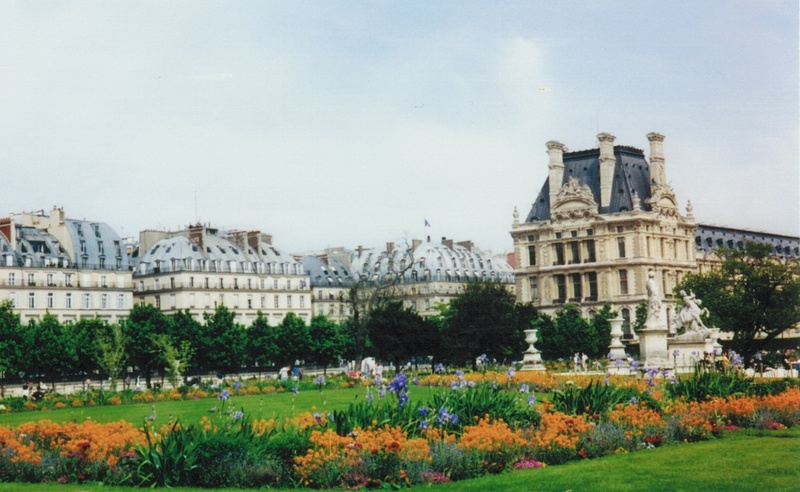 A brighter, sunny, spring day in Paris. Asking a fellow tourist for a photo often resulted in a single blurry image. Only discovered weeks later, when the film was developed to prints. More recent visits have included internet booked hotels & train, mobile phone with international texting, and the same warm and friendly people of Paris. 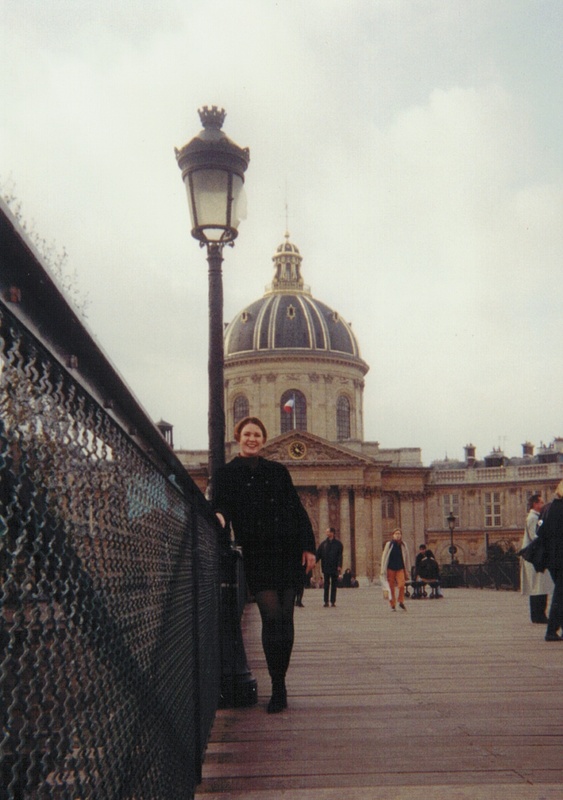 Many years have passed since my last visit, and I find that today, Paris is on my mind. Are you ready to visit Paris? First timers, or ready for an awesome trip, here are Practical Tips for Visiting Paris from Anna Everywhere. She guides you through using the metro public transportation, tips for museum tickets, and the real story on the Paris Catacombs!